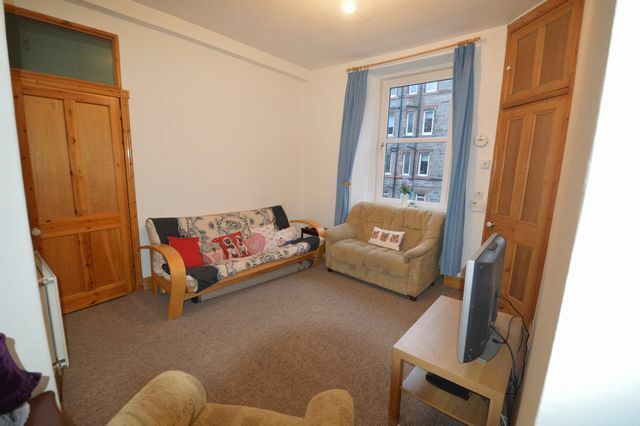 Modern, beautifully furnished 1 bedroom flat located in the popular area of Gorgie. The property has many benefits including the nice living area with neutral decor and wooden flooring, modern fully fitted kitchen with integrated appliances and extractor fan, spacious double bedroom with storage and a 3 piece family bathroom with shower over bath. The property is nicely decorated throughout and is available in move in condition. Further benefits include access to a shared garden, free on street parking GCH, DG and its fabulous location. Located just off Gorgie Road there is an abundance of local amenities and transport including supermarkets, post office, hair and beauty salons and banks. Suitable for couples and individuals. Landlord Registration: 90261/230/22391. EPC Pending.